Blues America is where the blues talks. An hour-long weekly series featuring conversations with blues people who share their stories and music. 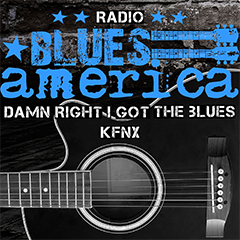 Blues America is heard around the country on over 50 public radio stations and the podcast has been downloaded over 2 million times. The series is independently produced at the Chico Chism Memorial Studio in Phoenix by award winning host, Drew Verbis. It is a featured “station” on the Living Blues Magazine radio-charts. Jerry Lawson documents his early days in New York and discusses songs from the Persuasions first album, Acappella (1970, Reprise/Straight Records). The Jerry Lawson Legacy project explores the history of Jerry Lawson and the legendary Persuasions in chronological order as explained in candid biographical commentary by Jerry and special guest host, Julie Lawson. Before 1969, a’cappella (singing without the use of instrumental accompaniment) was a boring term used to describe barber shop quartets and old-time doo-wop groups. That all changed when Frank Zappa recorded five guys from Brooklyn called, The Persuasions. Together, with lead singer and co-founder Jerry Lawson, The Persuasions made history and influenced a’cappella’s rise to the mainstream. In Episode 2, Jerry Lawson documents his early days in New York and discusses songs from the Persuasions first album. This is an exclusive Blues America feature. This program also features the Blues Break Big #1 with Joe Louis Walker and the Way Way Back Blues with Slim Harpo. 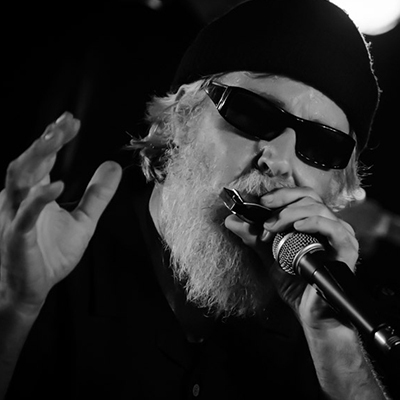 The downhome blues singer Alabama Mike is a “church house” tenor who was a Blues Award nominee for Traditional Male Artist of the Year by the Blues Foundation in 2011. The downhome ‘church house’ tenor has been featured on large festivals and shared the stage with names like the Fabulous Thunderbirds, Bobby Rush, Johnny Rawls and Willie “Big Eyes” Smith. The Alabama native currently resides in Northern California and has released three records; two critically acclaimed solo releases and one with a trio called the Hound Kings. His next project (due in the spring of 2016) was recorded at the famed Greaseland studios and features Kid Anderson, Aki Kumar and Jim Pugh. He’s also a featured artist on the upcoming Delta Groove release by Bob Corritore and Big Jon Atkinson. In 2011, he was a Blues Award nominee for Traditional Male Artist of the Year by the Blues Foundation. The Blues Break # 1 featuring Francine Reed and the Way Way Back Blues featuring Curley Weaver. Guy Davis is an award winning blues-roots musician and the son of Ossie Davis and Ruby Dee. He talks about his new album, Kokomo Kidd. Guy Davis is the son of legendary actors and civil-rights activists Ossie Davis and Ruby Dee. Since the release of his first few critically acclaimed albums during the 90’s, Davis has been considered a major blues talent and champion of the traditional roots blues sound; often incorporating banjos, 12-string acoustic guitars and mandolins to his compositions. Guy has continued the important tradition of storytelling and is among a group of artists contributing to the much needed role of folk music in the blues genre that has been lacking since the days of masters like Leadbelly, Josh White and John Hurt. Guy is also a journeyman who has followed in the family business to fulfill his passion for acting on major Hollywood films, television and Broadway. Following the release of his new album, Kokomo Kidd, he was featured on the cover of the Living Blues Magazine. In 1967 Paul Oscher became the first white musician to join a black blues group when he was invited to be an official member of the Muddy Waters Band. Since 1993, Paul has released seven solo albums, received 11 Blues Music Award nominations and won 2 Blues Music Awards. In 1967 Paul Oscher became the first white musician to join a black blues group when he was invited to be an official member of the Muddy Waters Band (which was considered the top blues group of the day). Paul is heard blowing harmonica on various Muddy Water Chess recordings from 1968 to 1976. Whether Paul is considered an innovator or simply in the right place at the right time, he led the way for many white players to follow like Johnny Winter, Jerry Portnoy and Steady Rollin Bob Margolin. Since his early days as ‘Brooklyn Slim’ and travels with the great Louisiana Red; Paul has recorded 7 solo albums (since 1993) and been nominated for 11 blues music awards taking home a trophy for 2 of those. In 2001 he married Suzan-Lori Parks, the first African American woman to win the Pulitzer Prize. Plus, brand new blues with Harmonica Shah, blues at the break with Anthony Geraci, the blues soundbite with Muddy Waters and the way-way back blues with Barbecue Bob. Westcoast blues great, Johnny Tucker talks about the release of his first studio effort in over a decade called, ‘Seven Day Blues’ on the High John record label. Johnny Tucker started playing in the local clubs of Fresno during the early 60’s with his family band. Later, he cut his teeth as a drummer for Phillip Walker. This put Johnny on the road and he would later work with Floyd Dixon, Robert Cray, Johnny Otis, Lowell Folson, Johnny Copeland and many more. In the late 90’s he cut a studio album with James Thomas before launching a solo career with the release of “Why You Lookin’ at Me” some years later. Today he celebrates a long career in Big Jon Atkinson’s vintage 1-track studio to cut the downhome blues project, Seven Day blues released on the High John label.